I am trying to achieve a camera walking animation without the use of external tools like the often suggested bone camera joint animation. 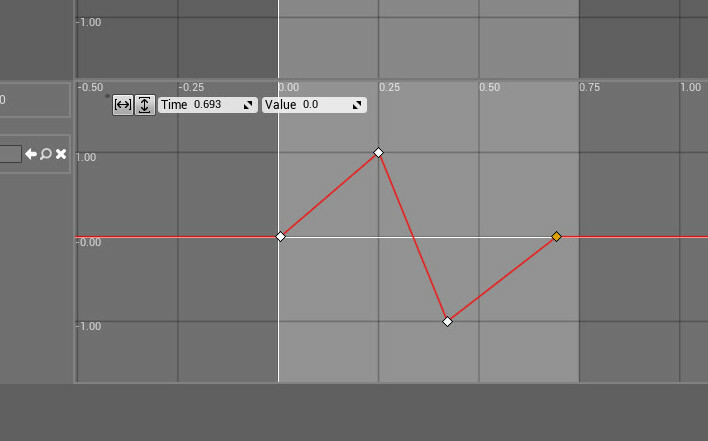 I have a small timeline vector animation which makes the camera bounce slightly, What I have noticed though is that, even if I have the vector points set by entering the values manually instead of drawing them, the camera ends up getting displaced a little bit every time the timeline loops through. So after a bit of walking in the game my camera ends up higher than when the game compiles and started. Now I tried to add relative offset to both camera directly and I've tried put the camera into a sphere instance hierarchy and apply the offset to the sphere which you can see here as the target of the add local offset. Both end in same result. I have ran into similar issues with timline minipulation on objects. If you print out your cameras cords every time this timeline loops I bet you'll see that they are different; even with a 0 in and 0 out. I'm not sure what causes it, but I'd be interested in this answer myself. 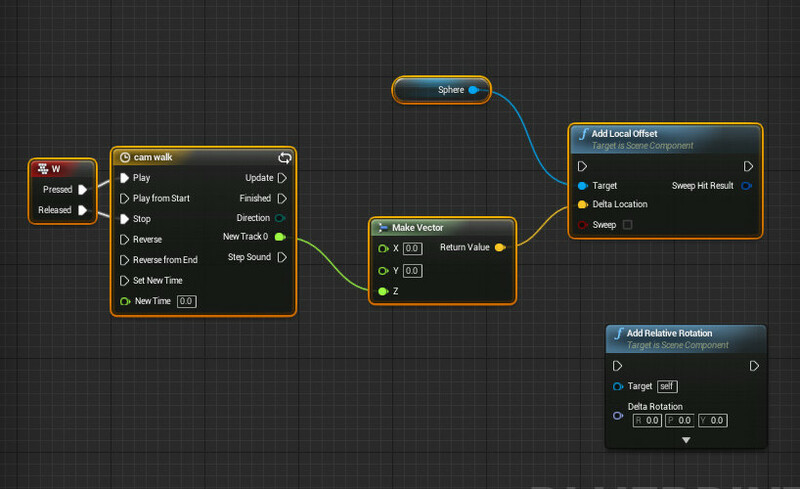 Pitch camera without "Use pawn control rotation"
How can I use another blendspace (for running) when a button is pressed? Is there a rotation curve like the ones for X,Y, and Z curves? How to animate a group of objects for a certain period of time?